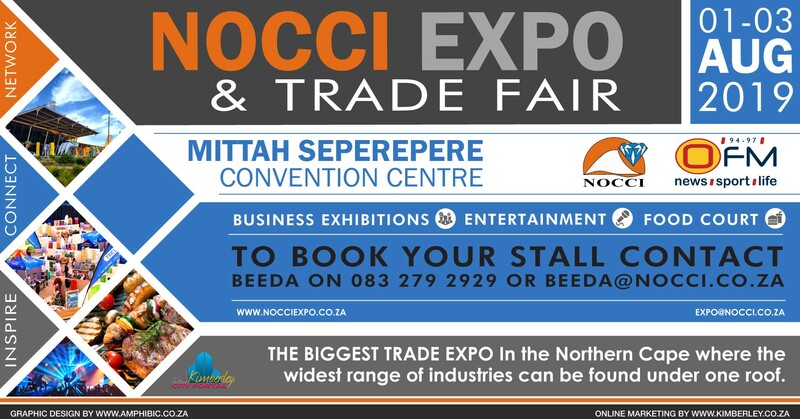 The Biggest Trade Expo in the Northern Cape where the widest range of industries can be found under one roof. 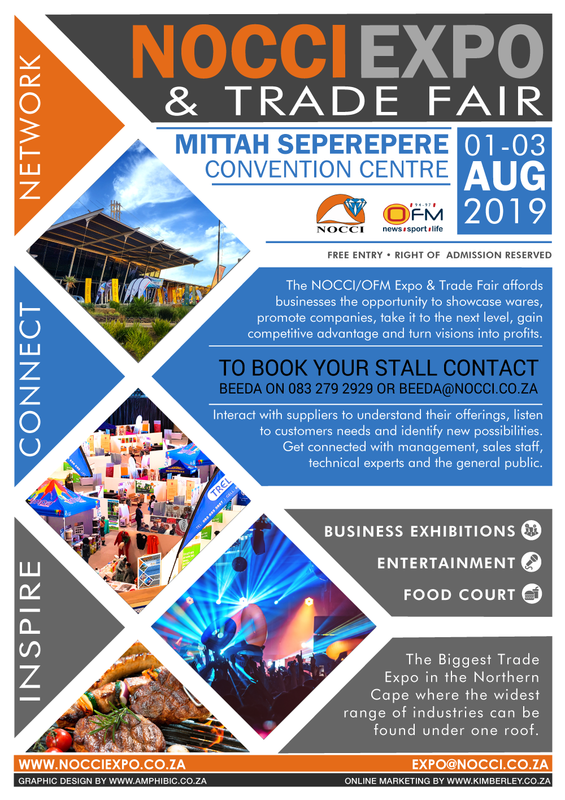 The NOCCI/OFM Expo & Trade Fair affords businesses the opportunity to showcase wares, promote companies, take it to the next level, gain competitive advantage and turn visions into profits. Interact with suppliers to understand their offerings, listen to customers needs and identify new possibilities. Get connected with management, sales staff, technical experts and the general public.